A vision has no update, it is an established fact. It is really impossible to change anything about it. You can only ascertain. With the death of Billy Graham, 2018 should actually be the year of the Rapture. Many expectations had therefore been declared 2018 as the year of the Rapture. 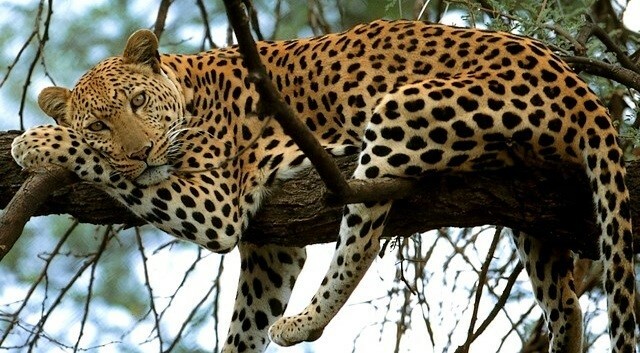 But in fact, August 2018 is the beginning of the last Week of Daniel which I did not know. It was not visible either. The vision is much too complicated for that. The Hebrew calendar indicates Sep 2022 as the beginning of the 1000-year Kingdom of Peace. The special thing about this is that there are exactly three years in between. The 1000-year Kingdom of Peace only begins in Sep 2025. A margin of error of exactly three years. 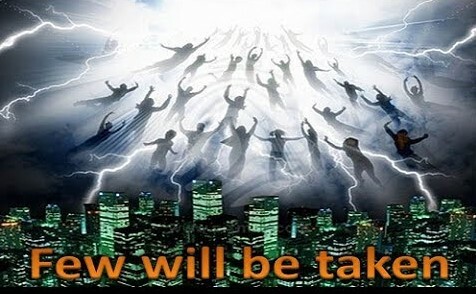 The Rapture will now take place in the year 2022, in the month of March/April 2022. According to 2 Petr.3:8 we shall by then be in the year 6004! The fact that the Rapture will take place three years later also has something to do with mercy, but mainly concerns the Rebirth of the last Son of God the Father, because in fact there we are waiting for. Otherwise the Rapture would have taken place long ago! We have 6000 years of work and a 1000-year Kingdom of Peace. The Hebrew calendar counts from Adam and Eve, year 1 to 4000+2000 years. From the birth of Jesus with the first era 1 to 2000 years is a total of 6000 years. The 1000-year Kingdom of Peace is the seventh day. 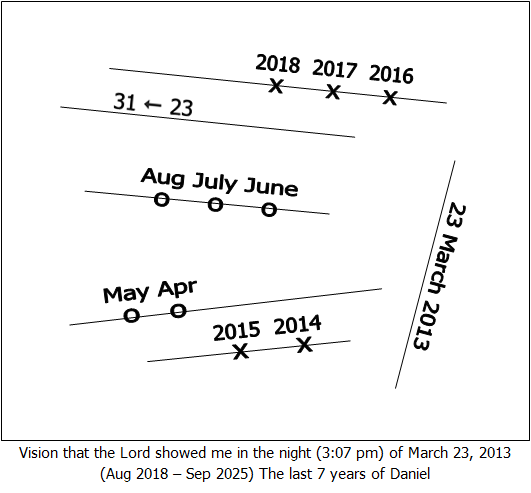 The vision (Aug 2018) that I received on March 23, 2013 had to be recalculated up to four(!) times. As the Rapture time comes closer, the visions are easier to see. 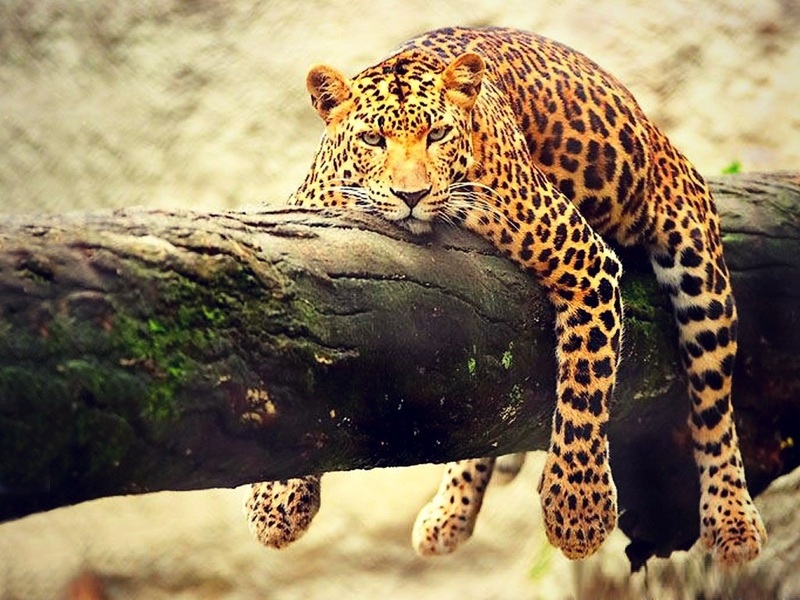 With the first 3,5 years of the last Week of Daniel, seen from Aug 23, 2018, and the last three months before the Rapture, is this the generation of 74 years, what Jesus meant by “…this generation…”. Birth of the State of Israel was on May 14, 1948 +74 years = May 2022. See details: » TIME IS RUNNING OUT FAST!!! The Jewish calendar with the current Western Time – Margin of error exactly three years! The Hebrew calendar(6000 years), the Jewish Calendar(5778 years) and the creation of the State of Israel on May 14, 1948. There is no other calendar that can even come close to these three times. These times are so to say interwoven and thus indicate the End Times. According to the Hebrew calendar we are now living in the year 6000, seen from May 2018! The Jewish calendar is different and indicates the year 5778 that started on Sep 21, 2017 and ends on Sep 10, 2018. Thereafter we are in the year 5779. But the counting of the Western calendar is different. The State of Israel on May 14, 2018 is exactly 70 years old and the Rapture is expected before May 16, 2022. A generation is then 74 years. By that time we shall already be in the Valley of Armageddon for three months! The false Prophet will reveal himself only in July/Aug 2021. This is the white horse, the first seal. After that, a different horse will rise every five months. The red horse will rise at the death of the false Prophet in Jan 2022. Therewith at het same time also Armageddon shall begin. Now it can not be otherwise, that Aug 2018 is indeed the beginning of the last Week of Daniel. The visions Aug 2018 and Fiche 59 give an irrefutable suspicion that the Rapture should take place before May 16, 2022. With the revelation of their Messiah (false Prophet), the Rabbis of Israel assume that the 1000-year Kingdom of Peace will begin in Sep 2022. This date is indicated in their calendar. If that is indeed the case, then the difference, the margin of error, is exactly three years. Beginning 1000-year Kingdom of Peace Sep 2025. How can it be seen that April 2022 is indeed the month and year of the Rapture? 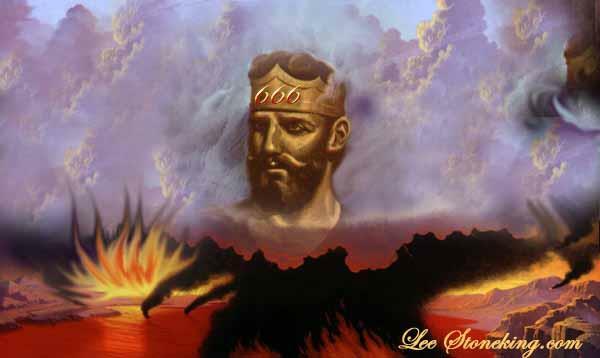 This vision indicates the day, month and year and is the beginning of the last Week of Daniel. Many Christians think that the Lord will come back 7 years before the 1000-year Kingdom of Peace begins. However, we shall go through the first 3,5 years of the last Week of Daniel and only after the revelation of the Antichrist, in January 2022, the Rapture will take place three months later. The five fiches indicate the five months that the great Revival will last, but also indicate the fact that after every five months a different horse will rise. The End Time officially started in Oct 2000 and ends in Jan 2022. The Biochip and the High Tech Smart “Super-I.D. Card” will become mandatory at the end of 2021. It can already be seen clearly to this that the Rapture will take place very soon. Jesus will return just before the first person has the Burnmark Sign/Logo (666) burned with a Laser in his right hand or forehead. That moment will take place in the month of April 2022 and the Rapture is then a fact. Sep 2025 the death of the Antichrist at the coming of Jesus on the Mount of Olives. The false Prophet/Antichrist was born on February 5, 1962. See: “The red horse of Armageddon” – In many prophecies the Lord has confirmed that this child, who was born on Feb 5, 1962, is indeed the Antichrist to be expected. The vision Fiche 59 is a continuation of the vision of Aug 2018 and can not be misunderstood. The Antichrist shall not become older than 59 years. So, how much time do we still have? The visions indicate Sep 2025 as the beginning of the 1000-year Kingdom of Peace. See calculation: (3 +36 +3) = total 42 months. *) In these three months the Antichrist shall be still wandering around aimlessly until he is killed in Sep 2025. Sep 2025 Armageddon officially ended. The Hell of Armageddon then lasted a total of 36 months instead of 42 months. The month of July/Aug 2021 revelation of the white horse and in January 2022 the red horse. The month of May 2022 revelation of the black horse and in Oct/Nov 2022 of the pale horse. See calculation: (2x 10,000 x10,000 = 200,000,000) 200 million! Those are the Chinese, who have kept themselves on the background all this time. 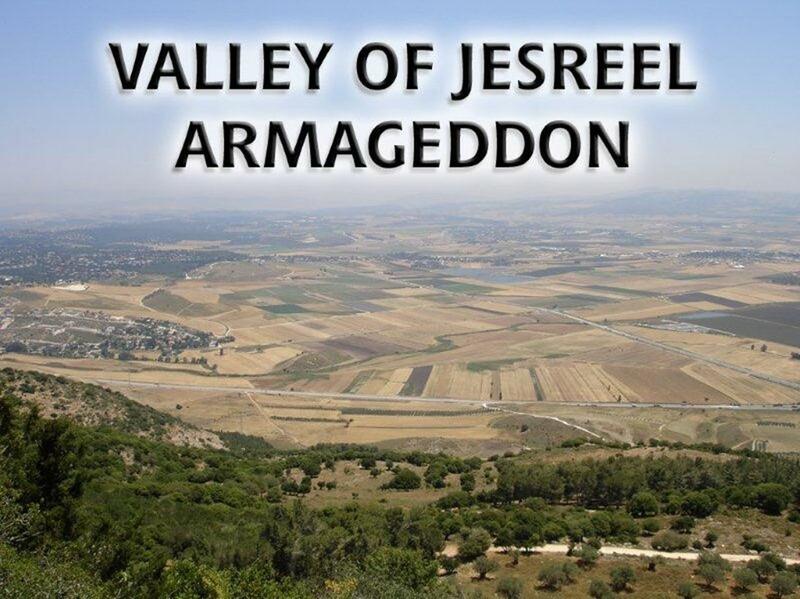 This unimaginably large army will rise against Israel and gather in the Valley of Jezreel. See photo: The plain of Jizreël seen from the Megiddo pass. I wrote this report because the visions Aug 2018 and Fiche 59 have designated the year 2022 as the year of the Rapture. The Rapture should have to take place in March/April but certainly before May 16, 2022! I can not find a variant other than this for now. On 25 and 26 December is the Christmas celebration on which the birth of Jesus is celebrated worldwide. Many people will be thinking of the birth of the baby Jesus who came to the world to save human being from the clutches of Satan. It will especially be the youth who could come to understanding and conversion. It will then take another three months for the Rapture shall take place in April 2022. That could indeed be a good time for the Rapture to happen. For the time being, the false Prophet still hides in silence. How should the year of the Rapture be calculated? Well, that is not so difficult anymore. 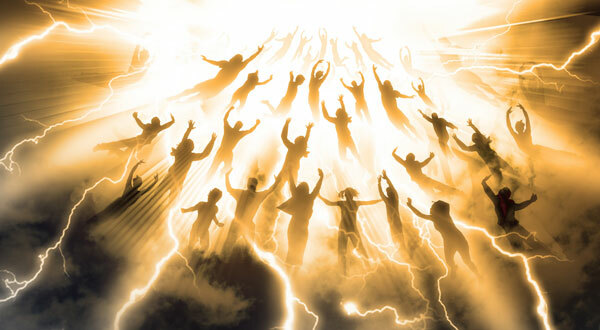 We know, with the death of Billy Graham, that the Rapture is now imminent. But the year can still be determined. That is possible with the following two visions: Aug 2018 and the Five Fiches 59! Aug 2018 is the beginning of the last Week of Daniel and… Fiches 59 shows the end of the false Prophet who was born on February 5, 1962. His end will be before February 5, 2022. See Luke 15 and know who the Lord meant with these 99 righteous! All these 99 righteous people live in the 1st degree of their tolerance. They all have kept water baptism and many even speak in tongues! And yet they stay behind, how is that possible? The Stable of the Lord is the Bride’s Church. From this come forth: The Sons of God, the Bride, the prodigal Son and the Wise Virgins. There are only a few who have been found worthy. These are among the wise virgins. Of all Christians who have kept water baptism, only 1 to 3% are included from each municipality. The rest is left behind. They are just a handful of Christians who will be admitted. There are also many municipalities where no one is admitted, except the children up to 12 years. These children were sanctified by their parents even if one or both(!) Parents were left behind. The Hell of Armageddon shall burst forth in all its intensity from May 2022 onward! Just before the Rapture will have taken place in April 2022. Of all Christians who have obeyed with water baptism, only 1 to 3% from each Communitie shall be included. The rest is left behind. They are only a handful of Christians who will be admitted. 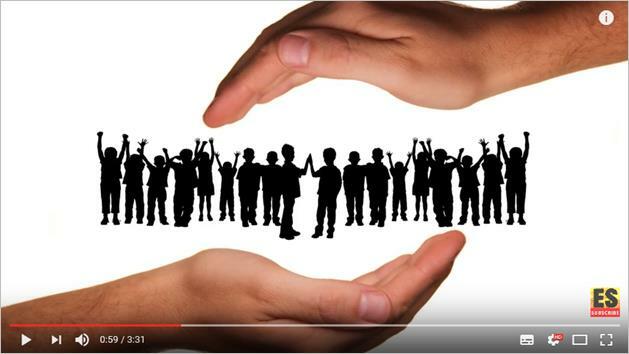 There are even many Communities where no oneshall be taken up, except the children up to 12 years. Brothers and sisters, if Jesus says so, what are we to pay attention to? That moment can almost certainly be expected in July/Aug 2021! 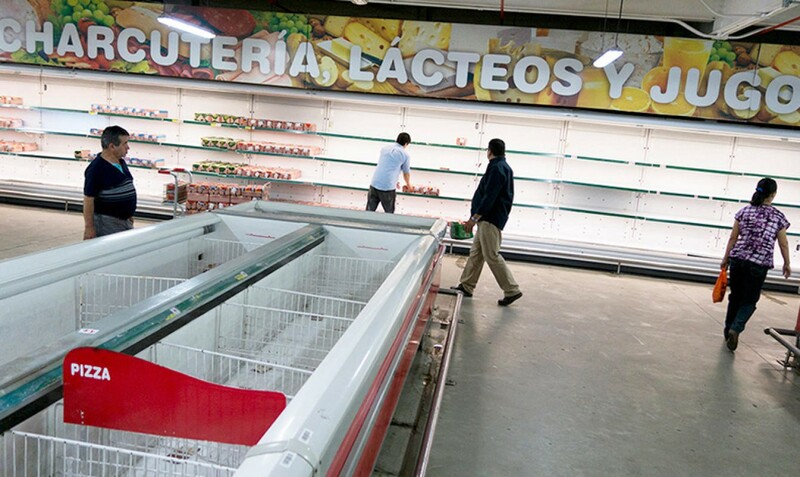 Then, in five months time, a prosperity will break out like man has never experienced before. This is the first rider and he is sitting on a white horse. The symbol of peace. This could already happen in Dec 2021 but surely in Jan 2022! The whole world then lives in disbelief. There will be sorrow for three days. But then suddenly the false Prophet rises again. The meaning of this is: First the false Prophet was there, then with his death he is not there anymore for three days and suddenly he will be there again, because the false Prophet has risen from the dead. After his death three days later, the moment the silver Cord disconnects, Satan with a “Walk-in” takes over the body of the false Prophet. The whole world does not know any better than it is the false Prophet who has come back to life again and there will be great joy. But… now Satan (the killer) is in that body and he is sitting on the red horse! This joy shows that the Antichrist wants to continue to tempt people for a short time. He is doing great with miracles and signs and the world is extremely surprised. Jesus, gave me this on Thursday, December 20, 2018 at 23:28 hours. This means that after the death of the false Prophet and three days later with the revelation of the Antichrist, the Rapture will take place only three months later. We are by then in the Valley of Armageddon! 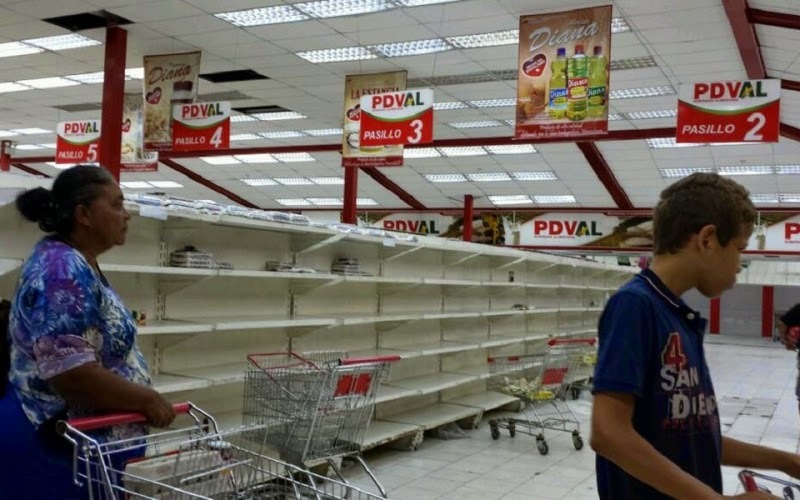 The fact that the Lord speaks about storing enough food and drinks means that the Supermarkets shall be completely empty and sold out within three days. Everyone will want to ensure himself that he does not fall short. This can only happen at the moment the false Prophet is killed. There will be a run then to collect food and drinks! Therefore you should get prepared already to have enough money and resources available from that day to buy and store food and drinks as much as possible for at least three months! With just over one billion I assume that it will be about 1020 billion people. Jesus gave me this number on Sunday June 11, 2017/ 15:43 hours. Brothers and sisters, do you have any idea who these people are? The Pastor can only do his best for the remaining 30%. Thus it becomes clear that from this group a few Christians are included. Before the Great Revival breaks out, the Laodicean Church has virtually completely fallen asleep. It is a sleeping Church. The moment the false Prophet will make himself known, many people and name Christians will become confused, because this man is truly unimaginable! The world has not known anyone like that yet. The false Prophet is not yet known. But the Lord has already considerably shortened the time (3,5 years) of the false Prophet, for he will only reign for five months. This has to do with the fact that practically the entire world will support this World Leader. That the Lord says so is certainly true and yet very special, because by then we are shall be already in the Valley of Armageddon. That means that the world will not yet realized that this is the Antichrist. They really think that this is the false Prophet and they applaud him and they even worship him. Who is the rider on the white horse and who are the other three riders! 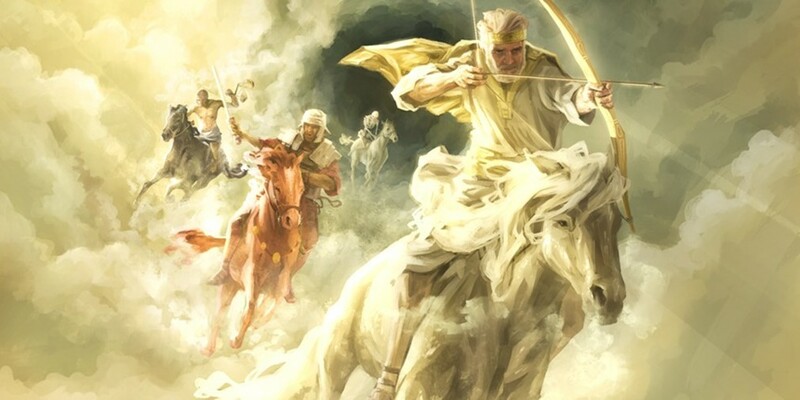 If after three months the Lord would not come along with the Rapture, then in my opinion,the world and almost all Christians would think that the rider on the white horse is Jesus. Many Christians truly think so. But through the sudden Rapture, all Christians will immediately see that the false Prophet can never be the one who in reality he first could have been, Jesus. The false Prophet is a servant of Satan and is not the Lord Jesus! Many will only then be able to see that a “Walk-in” has taken place, but then it is already too late. The first people will have had the Laser Brand Sign/Logo (666) burned in their right hand or forehead. Most people, name Christians, remaining Christians and the true Christians of God shall know it for sure. The false Prophet is the expected Antichrist from the Bible book of Revelation!